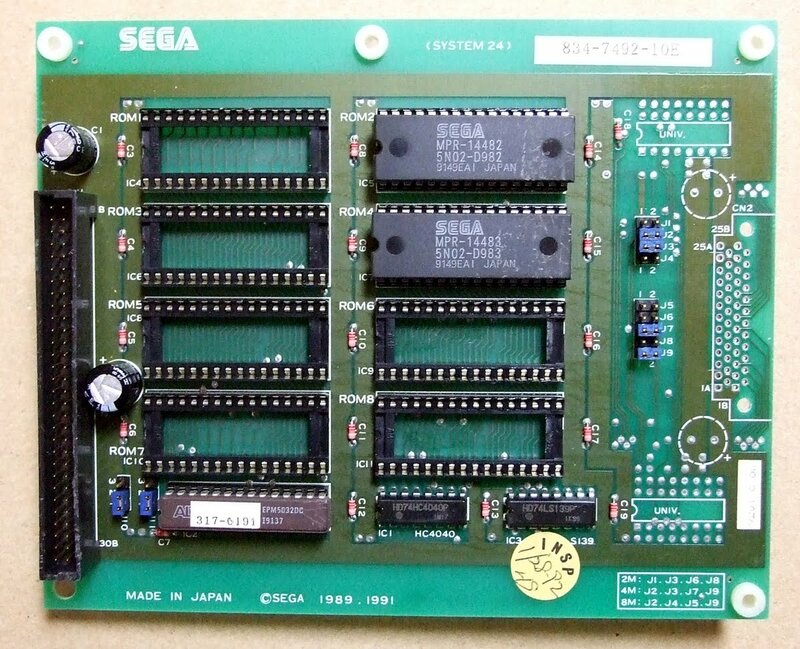 Here's some information for those interested in Sega's System 24 hardware and games. 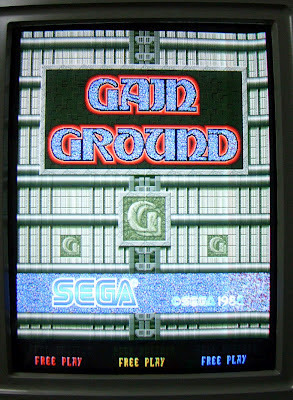 Sega brought out the system in March 1988, and the basic idea was that by simply swapping out security chips and a floppy disk, the operator could easily change to another game. In the end, it didn't quite work out like that. The first game released was Hot Rod, an overhead driving game, and its cabinet featured steering wheels for each player - the maximum possible number of players was four on tabletop versions and three on the upright versions. In October of 1988, Scramble Spirits was released. A shooting game, clearly this needed a standard joystick and buttons style cabinet. From Scramble Spirits on, the idea of switching to another game became more popular. What's special about the System 24 hardware is primarily that the system requires a 24kHz monitor (medium resolution), which clearly prevents an operator or home enthusiast from using any standard cabinet. Secondly, the game itself is contained entirely on a standard high density floppy disk - at least with the early games. Here are three game disks, and a security chip. Each disk-based game has a matching security chip. As previously mentioned, the idea was that operators would simply swap these to swap games. On the right is a standard Sega-supplied disk drive, with heavy metal casing. On the left, a more recent standard drive. However, Hot Rod did not have a security chip, and nor did most releases of Scramble Spirits. This means that any game can be converted to these games, as long as the operator can get hold of a copy of the floppy disk, and can burn the two standard EPROMs on the board. 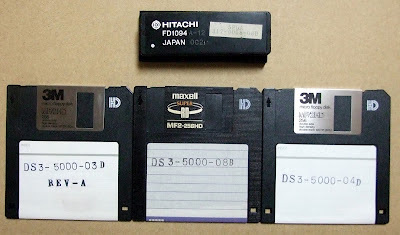 Copying the floppy disk is trivial, as the PCB can make backup copies. Dynamic Country Club (Disk version) - there is a non-disk version, discussed below. Rough Racer is a driving game similar to Hot-Rod, and the two golf games (Dynamic Country Club and Super Masters Golf) require a special control panel. 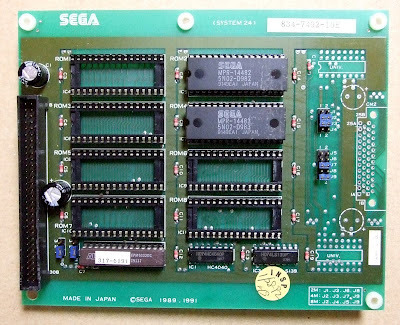 As mentioned, there is a non-disk version of Dynamic Country Club; instead it uses an extra board, which is mounted on top of the main board. Below is an example of such a board. Here's a picture of a setup with all three boards. On top, the small security board, and on the bottom, the floppy drive interface board. 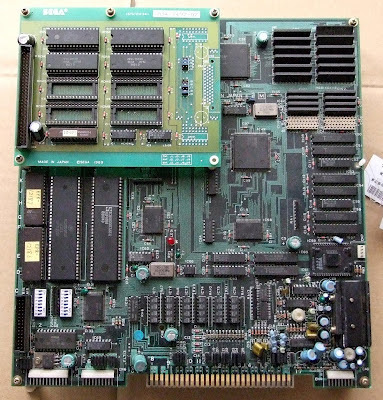 In the middle, obviously, is the main board. Here's a shot from above. On the left you can see two EPROMs with yellow stickers on them. Following the picture is a discussion of which games use which ROMs. To the right of these ROMs are two 68000 chips. The righthand chip is the security chip, if needed. 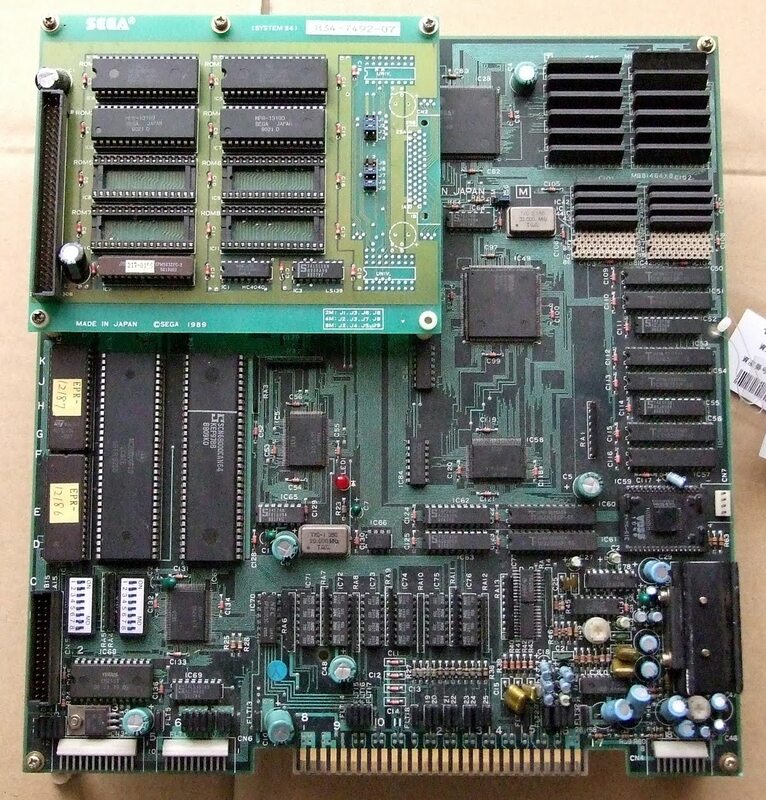 Otherwise, it is a standard 68000. Hot Rod and the Japanese version of Scramble Spirits use the same two ROMs. Now, given that some of these games are not particularly popular, and in some cases require specialist control panels, the games (PCB + disk drive) can often be bought quite cheaply. In my case, I bought a NOS Crack Down chip and disk from the US, and bought a cheap PCB to put them in. Also, if your PCB happens to break, it's easy to swap to another. As long as the disk and security chip are working, the game is safe. Backing up disks is straightforward, so obviously it's a good idea to do so often, just in case. 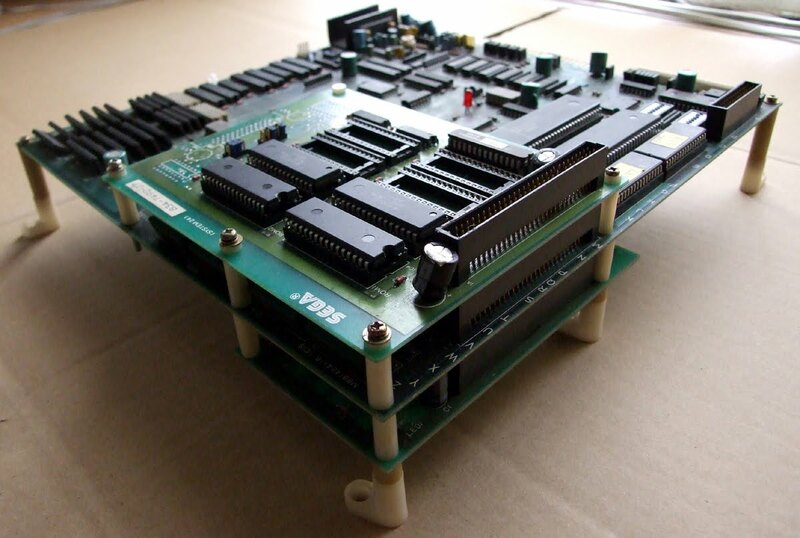 These are the games which have their own ROMs, their own security boards, and no floppy disk. Again though, they can be used as spare parts for other games. I bought Quiz Rouka Ni Tattenasai for this very purpose. And here's a game in action, Gain Ground, one of the more popular games on the system. Do you happen to have a backup disk for Hot Rod? Sorry, I've never owned Hot Rod and don't have a disk for it.